The purpose of Orangemen Volleyball Club is to give boys the opportunity to play the sport of volleyball and encourage them to become men of integrity and become leaders who will be responsible and positively affect the world around them. 14U, 15U, 16U and 17/18U volleyball club based in Abbotsford, B.C. Interested in playing with Orangemen Volleyball Club? Register for tryouts. Want to help coach in our growing volleyball club? Contact us for more info. Read up on Orangemen Volleyball history, philospophies and parent resources. Orangemen is a volleyball club based in Abbotsford, BC. It currently trains teams in the U13, U14, U15, U16 and U17/18 boys age group, quickly growing from its U18 only beginnings in 2009. Orangemen Volleyball was born through love of the sport and continues to advocate friendship, community and competitiveness both on and off the court. If you are interested in partnering or coaching with OVC, contact club director Anthony Jansen. 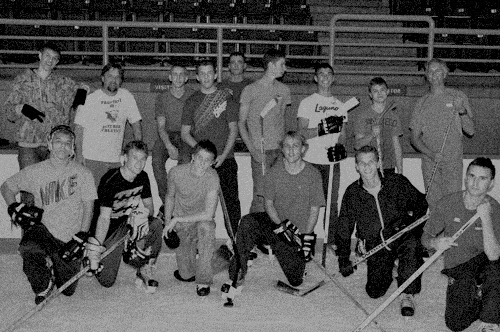 Brad Knodel, Kurt Heinrichs, Ben Friesen, Ron Pike, Jeremy Lieuwen, Ethan Lapointe, Matthew Penner, Mark Goertzen, Ben Ball, Kyle Donen, and Anthony Jansen. Cameron Vanderveen (UBCO), Benjamin Friesen (UFV), Simon Friesen (CapU), Carter Bronson (UFV), Shubdeep Wander (UFV), Dylan Neudorf (UFV), Ethan Lapointe (UFV), Tyler Postma (Dordt College) and Caleb Brandsma (Dordt College).